It's been so great seeing so many new players showing up for Monday Pauper Deck Challenge over the past few weeks. We've seen attendance in the high teens, topping out this week at 20 players. While this is a long way from the 40-50 in attendance we've seen in the past, it still seems an encouraging sign that our community is starting to grow again. It also means we played out a Top 8 playoff again this week, giving us 12 decks to consider for this week's state of the metagame in Standard Pauper. Let's take a look at how things have changed since last time. The Izzet Tempo list has risen to new heights, accounting for five of the eight decks that made Top 4 between our two Standard Pauper events. The deck also captured the trophy for both events, with AfroDwarf winning in SPDC and emerald000 winning in MPDC. The most notable innovation in the deck is the inclusion of more Madness effects, with olstyn's list in particular making use of both Mad Prophet and Reckless Scholar as enablers for Fiery Temper. Overall, nearly half the players in these two events were playing this archetype. The GB and Sultai Control decks that dominated last season all but disappeared this week, with a lone entry by afreeAk in both events being not only such list to make the playoffs, but the only one that saw any play at all. I'm not sure whether to chalk this up to simple fatigue with the archetype, or a more fundamental shift in the metagame. This is definitely something to keep an eye out for. Perhaps the most noteworthy entry is a RG Tremors deck played by Ravager1 that took 2nd place in MPDC. This deck is a tokens build looking to deal lots of damage via Impact Tremors. I actually played a very similar list at the end of last season, and overall I think it's definitely one worth exploring in this new metagame. The rest of the top contenders this week includes a Dimir Control list by rremedio1 utilizing strong Graveyard recursion, a Jund sacrifice list played by cRUMMYdUMMY, and an "all-in" Rakdos Madness list piloted by Storm_blade. It should go without saying, but you should definitely expect to come up against the Izzet Tempo deck early and often, so you're gameplan better include cards that are strong against it. Given its lack of creatures and high number of spells, I would expect permission and card draw to both be important elements of such a strategy. Thermo-Alchemist has probably eclipsed Pulse of Murasa as the most important card in the format right now. It's three Toughness makes it difficult to remove early, and when it goes unchecked it's not unreasonable for it to do 10 or more damage in a very short time in the Izzet decklist. And of course, Aura-based removal like Pacifism does very little to stop it. White has completely disappeared from the top decks this week, accounting for only two decks between the two events. 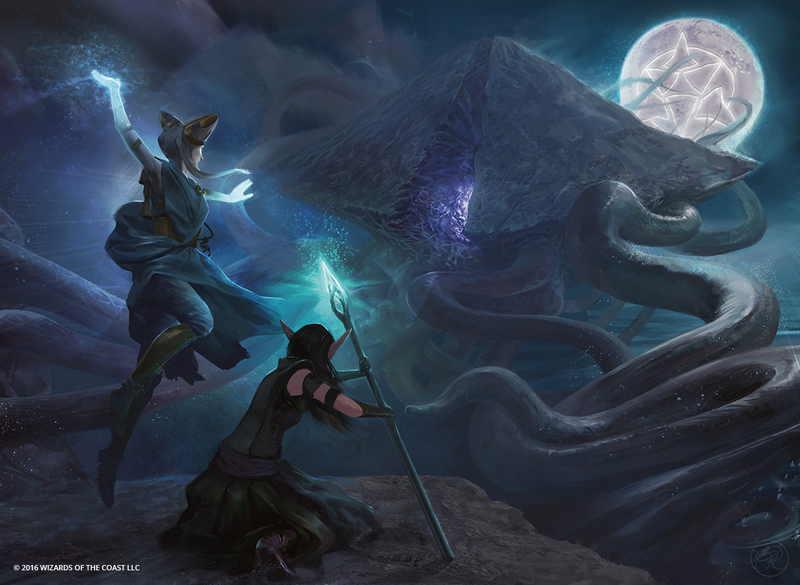 While some sort of Selenya aggressive build or an Aura-based decklist could be very viable in the metagame right now, these lists have definitely been on the decline, despite the strong support for the latter in Eldritch Moon. Finally, the Emerge deck has likewise faded away, although both Emerge creatures continue to be very important in the metagame. But with all the removal at your disposal, it simply isn't a viable strategy to build your entire strategy around these creatures. That's it for this week. Also, if you've never checked out MPDC, why not give it a try this week? I encourage you to browse over to PDCMagic.com for all the information and then come join us at 2:00pm EST / 7:00pm GMT in the #MPDC channel.